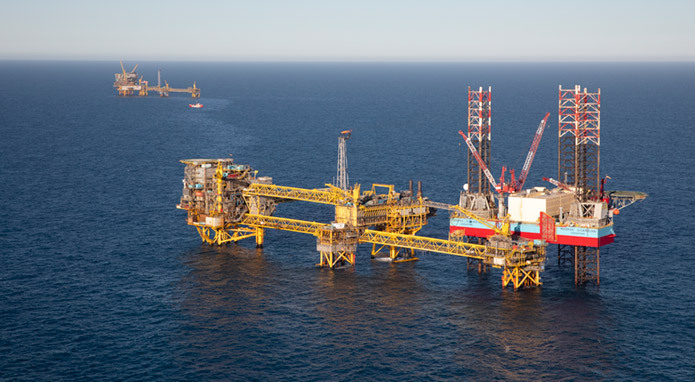 With its purchase of Maersk Oil, Total is now the largest operator in the Danish part of the North Sea and the second-largest in the entire North Sea. Now, Total explains why the acquisition is a 'perfect match', and how the French energy giant sees the Port of Esbjerg's role and future for the oil and gas industry. It's a fantastic deal for Total that builds on our core business. It gives us a presence in Denmark that we have not had before, where we become the second-largest oil and gas producer in the North Sea and, at the same time, create growth." That is what Total said back in March 2018 when the sale of Maersk Oil to Total was finalised with a purchase price of DKK 47 billion. That was a year ago. Now, Martin Rune Pedersen, Vice President for Total’s exploration and production activities in Denmark, Norway and Netherlands, explains the background for the investment, the first year, plans for the future, and Total's approach to the green transition. What is the background for Total's purchase of Maersk Oil and the billion-kroner investment in the Danish fields in the North Sea? The purpose is to exploit the overall strength of both Total and Maersk Oil and create a strong energy base built on North Sea oil and gas resources. The North Sea has been a core area for Total for decades and still offers growth opportunities. So the purchase of Maersk Oil was in many ways a perfect match for Total. It has given us the chance to expand our production, improve efficiency and increase our competitiveness. At Total, we have faith in the potential and future of the North Sea. We have increased our presence in order to use both the expertise and opportunities available here. For example, we have made Copenhagen the centre of our regional business management and investigations for the North Sea and Russia. We have also established an offshore technology centre in Copenhagen. It is actually the first of its kind outside France, which is the heart of Total. Our office in Copenhagen has also become the home of both support functions and Total Marketing & Services activities throughout the Nordic region. Today, we are the largest oil and gas operator in Denmark's part of the North Sea and the second-largest operator in the whole of the North Sea after Equinor, so our investment makes a great deal of sense in many ways. Now a year has passed since the purchase of Maersk Oil was formally completed. How would you describe the first year? It has been a busy and very exciting time. Merging companies, cultures and employees is rarely a smooth process. We have put a lot of work into integrating Maersk Oil in Total, and the majority of that extensive work has now been carried out. One of our most important priorities has been to retain many of the employees who came from Maersk Oil. Maersk Oil employees' skills were one of the main reasons for the acquisition, and we have really made a great effort to offer our employees interesting jobs and integrate them in the Total family. And you have already expanded your Danish presence? Yes, in September 2018, we announced our plan to buy Chevron's share of Dansk Undergrunds Consortium (DUC). That gives us a total share of 43.1 per cent of DUC and is another tangible signal of Total's faith in the activities in Denmark. Another top-priority project for us is the Tyra redevelopment. As many people probably know, it's an investment worth DKK 21 billion. The redevelopment of the Tyra field is in full swing and will last for the next two to three years. It's a gigantic infrastructure project that will be the nerve centre of Danish gas production. 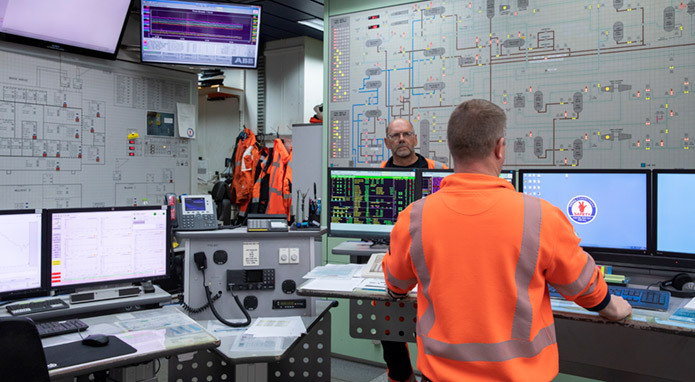 More than 90 per cent of Denmark's natural gas flows through Tyra, so this is absolutely vital for Denmark's future supply reliability. We are redeveloping an important piece of the Danish North Sea infrastructure, and this will also be the centre of possible future discoveries in the northern part of the North Sea. The project is highly prioritised and is going very well. What would you say is Esbjerg's greatest strength as a metropolis for Denmark's oil and gas production? Esbjerg is in general an energy metropol. Oil and gas make a considerable contribution to Denmark's economy, and in Esbjerg alone, 14,500 people are employed in the energy sector. Out of these, about 9,500 are employed in the oil and gas industry. This has made Esbjerg Denmark's primary energy hub. The city has the ideal location for the offshore activities in the North Sea. There is also strong, close and good cooperation between the many companies supporting and working in our field. Esbjerg also has the country's highest level of skills in terms of expertise and experience in oil and gas. So, there are many good things to say about Esbjerg. What is your own relationship with Esbjerg? I have lived in Esbjerg with my family for some years. Close to the sea and surrounded by beautiful countryside. With a modern city life and good job opportunities, in many ways it's the idea setting for a family. I think Esbjerg has a lot to offer and is an attractive location on the world map. Not least if you are interested in a career in the energy business. How do you expect the companies in the port to contribute to your commitment? Work at the port is important to everyone with interests in the North Sea. It is an innovative environment with many synergies where companies work together - also on developing many new technologies. We view the energy cluster as an important front runner for positioning the Danish part of the North Sea as an innovative and technology-driven environment across industries. Total's ambition regarding further developing the Danish part of the North Sea into the best in class within the areas of exploration and production requires us to have partners that can inspire and help drive the use of new technology. And we find that in Esbjerg. How would you describe the future of Danish oil and natural gas as an energy source? The redevelopment of Tyra is a new chapter for Denmark's upstream industry that will ensure commitment in the Danish part of the North Sea for many years to come. When the Tyra field resumes production in 2022, Denmark will once again be self-sufficient in terms of natural gas. Natural gas is a crucial factor in Denmark's energy transition as a 'transition fuel' as our energy consumption remains high and cannot be covered by green energy alone. Natural gas emits less CO₂ and will continue to be an important part of Denmark's energy mix in the years ahead. In fact, Denmark is the country that produces oil with the lowest CO₂ footprint in the world. One day, the Danish energy system will have transitioned to green and renewable energy. Even then, we will continue to produce natural gas in the North Sea, as we export to other countries that still need oil and gas for manufacturing industries, heating and transport. We will therefore remain active in the North Sea in the most responsible, secure and sustainable way. That is one part of Denmark' oil and gas strategy that will benefit the Danish economy in the future. It will also benefit the broader geopolitical situation that part of the natural gas, which Europe needs, is produced within the EU. Total is active in the entire gas supply chain and we expect the share of natural gas in the oil and gas mix to increase from 50 to 60 per cent towards 2035. Total believes that Tyra will be an anchor point for potential future discoveries in the northern part of the North Sea. How is Total addressing climate change and the global energy transition? Our climate strategy includes clear goals for combatting climate change. Total was the first large company in our industry to fully integrate the Paris Agreement and 2-degree scenario into its strategy. Our mission is to produce and deliver responsible energy at an economically feasible price and to make it accessible to as many people as possible. We aim to reduce our so-called 'carbon intensity' by 15 per cent by 2030 and 25-30 per cent by 2040. We will achieve these goals via various solutions that focus on optimising operations, growth in the gas market, strengthening our role in electricity production with low greenhouse gas emissions, and increased our use of bio fuel and CO₂ storage. Natural gas is one of the best solutions we have when it comes to combatting global warming and securing the world access to the energy it requires. What framework conditions are critical for Total’s future activities and investments in the North Sea? Stability and support for the industry are crucial. Naturally, we also wish to work together with the government and the rest of the industry to ensure optimal tax framework conditions that enable us to invest our money profitably here in Denmark. Total is the world's fourth-largest oil and gas company, with about 100,000 employees worldwide, and serves eight million customers a day. Total is also one of the largest and most international workplaces in Esbjerg. The company employs about 1,450 employees who represent up to 45 nationalities. Half of them work offshore 225 kilometres out in the North Sea. From Esbjerg, a mix of oil and gas is produced from 16 offshore fields with 50 offshore installations and five main platforms.